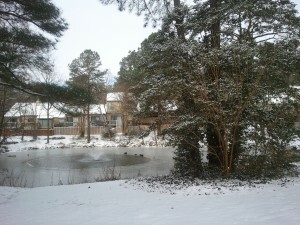 Pass a picture of a partly frozen pond and ask kids if this would be a good place to ice skate. Here’s an idea for January – schedule a day for your class to enjoy Photo Circle Day. …mystery photos: What is this a picture of? Don’t forget to bring photos of your own. Teachers get to tell stories with pictures, too, and teach with thought-provoking images! Pictures Teach Powerful Lessons – When your class is gathered together on Photo Circle Day, hold up a picture that teaches a powerful lesson. For example, if you live in a part of the world where ice forms on lakes or ponds, show a picture of a partly frozen pond and ask kids if that pond would be a safe place to skate. Engage Students in Critical Thinking – Holding a photo of a partly frozen pond in hand, continue a discussion about safe places to play by asking students to explain WHY a partly frozen pond should be off-limits to skaters. Photos prompt critical thinking when teachers guide the process. Coordinate Photo Circle Day with your school’s Media Center Specialist or plan the event for your own classroom. 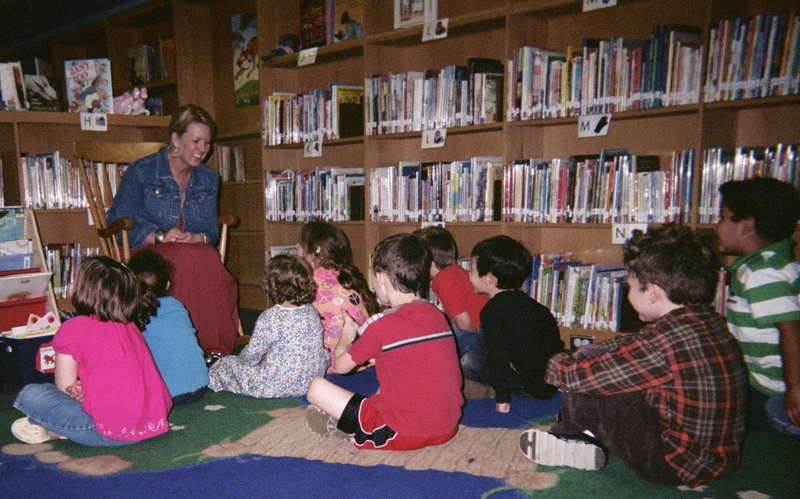 Children gather on the floor for a Photo Circle Day in a Media Center. On the designated day, ask children to gather with their photos on the floor. Invite a student volunteer to begin Photo Circle Day by showing her or his photo and sharing a short story about it. Ask the class if the volunteer’s story reminds them of a book they’ve read. Ask if anyone has a similar story to tell with a photo of their own. Part of the beauty of photo sharing and storytelling is the connections that result with attention on sharing and storytelling with pictures. Pictures Catch Attention – Turn a Photo Circle Day into an opportunity to emphasize the importance of paying attention. Show a photo of people watching something intently. Invite your students to take turns telling what helps them and/or makes them pay attention in school. You have all kinds of ideas for gaining and maintaining the class’ attention, but your students might surprise you with some new bright ideas. 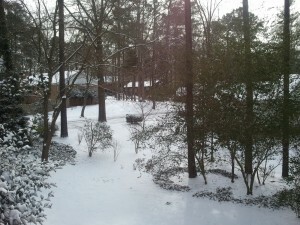 Show a picture of a snowy hill to prompt story sharing in a Photo Circle. Picture Happy! – I read recently about a third-grade teacher who set up Circle Time to invite her students to take turns telling what makes them happy. Snow days makes kids happy. No school! 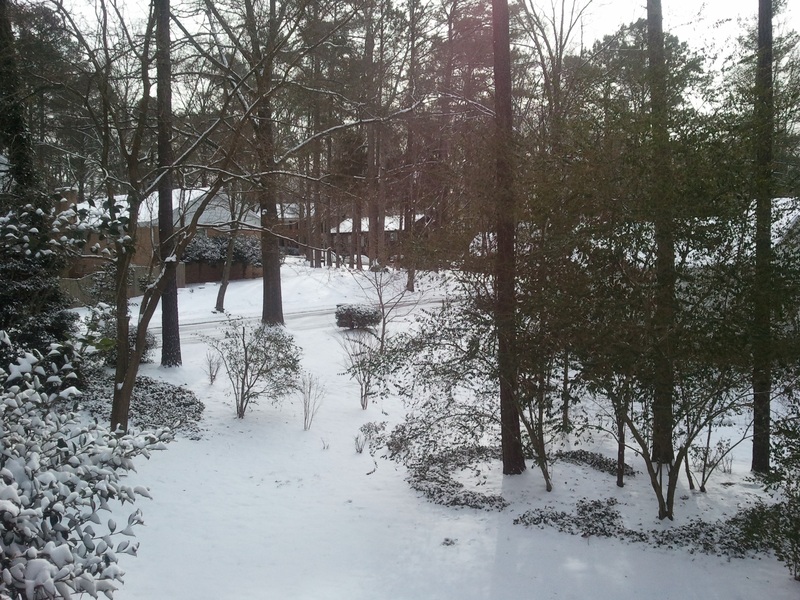 Prompt story sharing on Photo Circle Day by showing a picture of a snow-covered hill waiting for children on sleds. Even if you live where snow never falls, students will delight in using snowy scenes to make up and share fictional stories about adventures in the snow. Circle time has been a popular method of sharing information, stories, suggestions, souvenirs…you name it…for decades in schools around the world. Photo Circle Days are extra special because pictures can really be worth a thousand words. Please share photos you’ve used in teaching and send comments about class circles and storytelling activities. 5 Pings/Trackbacks for "Schedule Photo Circle Day – Attention on Sharing"